First of all, and most importantly, is organization. With so much on your plate, it’s crucial to have some sort of tool to manage it all. There are several organizational tools you can utilize including: a planner, a whiteboard calendar, the calendar app on your phone, to do lists and more. These are some of the most popular options and the ones that I’ve found work the best. However, everyone is different and it’s important to find the method that works best for you. Some people may even utilize more than one – I know I do! It will be important to enter all homework, exam and event dates so you don’t forget anything. As time goes on, you want to run over all the dates and make sure you are adequately preparing for them in advance. This will become exceptionally essential during exam time when things seem to be the most hectic. Another tip for mastering a packed schedule is creating goals, short term and long term. Goals will give you something to work towards, a sense of motivation and determination. This will prevent you from slacking off or putting off tasks that need to be done. It’s important to create education goals such as: maintaining a certain GPA, passing a tough class or acing a test you’ve best studying so hard for. However, it’s incredibly crucial that you set the same amount of goals for your personal life, outside of school. Once you reach these goals you will feel a sense of accomplishment and success, that will only increase your motivation! While work, school, friends and organizations are all important, they do need to be prioritized. 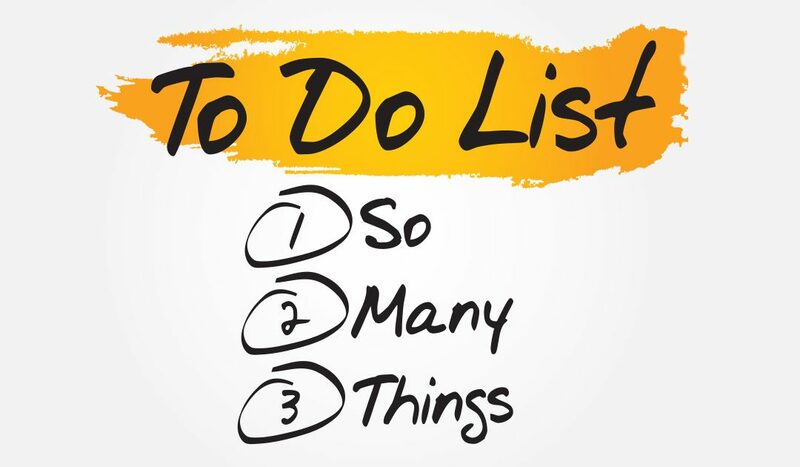 Unfortunately, there will be instances when you don’t have enough time to get all of these things done. Therefore, you need to prioritize what is most important to you. For example, your school work should come before going out with friends. In addition, you shouldn’t miss a work shift to go to an organization’s social event. The same concept applies to your various homework and assignments. Use your planner, calendar or to-do list to prioritize which assignments you work on first. Those that are the longest, have the soonest due date and are the hardest, should come first. This technique will be incredibly useful during exam time. We all know that it can be stressful with multiple exams scheduled on the same week. However, if you are able to prioritize your exams by date and difficulty, you will ace them in no time! Finally, while school, work and other commitments may seem to be flooding your life, it’s crucial to remember that your health and wellbeing is important too. Sometimes is easy to forget this and neglect ourselves. Despite all of your responsibilities, you need to be eating regularly and healthy, getting the right amount of exercise and getting a good amount of sleep. In addition, relaxation and “me time” is essential too! This will help your emotional stability and keep you in the right head space. Personally, when I’m feeling a little stressed out, I like to put on a face mask and listen to some music. However, there are many other options that include: taking a bubble bath, watching funny videos, eating some comfort food, talking to friends/family, etc. Finding what works for you will make your life significantly less stressful! Balancing such a busy schedule can be tough, but it doesn’t have to be! By using these tips and others you come across along the way, you will certainly be able to overcome these challenges.